Lowe's helped out with a great sale on Stella d'Oro day lilies, and I splurged a little bit on some gorgeous yellow azaleas and the prettiest orange azalea I've ever seen - I can't wait until they bloom out! And I actually got them all planted, too! I've learned the hard way - I don't buy any more than I plan to put in the ground right then. Yard work is not my favorite thing to do, although I do love the results! So now my front flower bed has five burning bush shrubs, four Stella d'Oro day lily plants, and four azaleas, two each of yellow and orange. I feel so accomplished! 1. Put some serious time into repair work on the vintage quilt. and have marked all the places that need more serious patching. You can see all the work that's yet to go by counting all those pink post-it notes! ...so the quilt is much more repairable than it normally would be. There are only a couple of places where the inner blanket needs repair, as you can see here. 2. Try out my double wedding ring templates. Done! I had fun with this, although I don't think I'd want to do a whole quilt - at least, not yet! But I think this will make a nice table runner! ...so now it's a little easier to find what they want to play with. And as a bonus, I took this big bag of toys to the place where the littles do their speech therapy, to replenish the toy closet there! 4. Paint the stair risers while my hubby is out of town. 5. Post the non-blogger Hands2Help updates that have been hitting my inbox this week! Done! 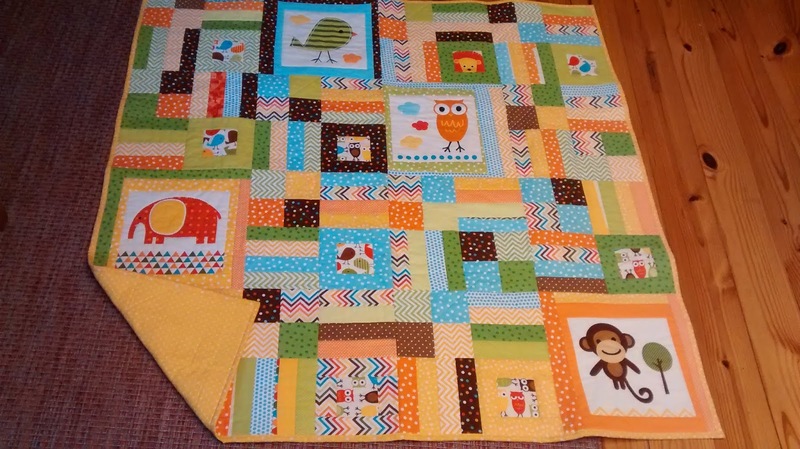 You can see all their beautiful quilts in this post. 6. Keep up with any quilt ministry needs that come up. It was a quiet week - I guess everyone was busy getting ready for Easter! ...and saved a LOT of money at Joann's today as I purchased some large yardage pieces for backings for the quilt ministry! We had an unexpected visitor! Buttercup found a low spot in her fence and went between hers and ours until she found another low spot, then started feasting on our (apparently much greener) grass! So that was my week last week. Pretty full and eventful, and that doesn't even include Easter Sunday! This week should be a little easier - here's what's on my horizon right now. 1. Keep working on the vintage quilt repair. 2. Continue making blocks for Hygge Sparkle Pop. 3. 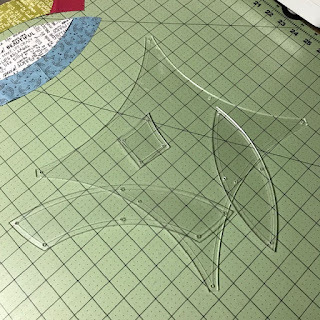 Start cutting fabrics for a special project. 4. Get some more day lilies and replant a pair of galvanized tubs. 5. Keep up with any quilt ministry needs that come up. Some big projects that will take some time, so I'm keeping the list short this week. Still enough to keep me busy, though, I'm sure! And now the question is - - - what are YOU working on this week? Happy Easter! I hope you have all had a beautiful day - I plan to spend it with family, hunting eggs and eating lots of fabulous food. It's always a big day for us! I want to dedicate my post to the lonely square. 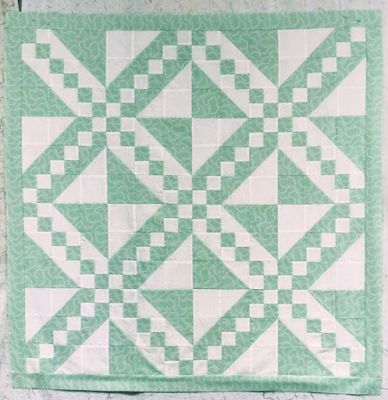 We are always looking for fast blocks that are easy to make, use up the scraps/stash on hand, and (the key) easy to quilt math. I find so many quilter who are afraid of quilt math. 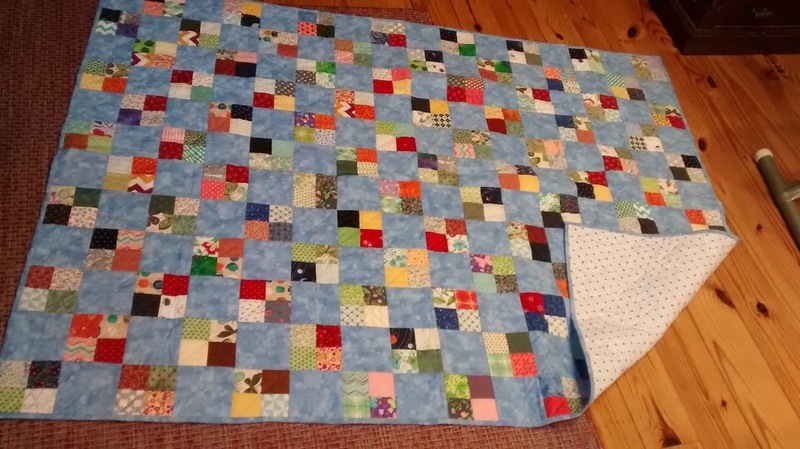 Using a square makes this so much easier - and they can make some beautiful quilts. 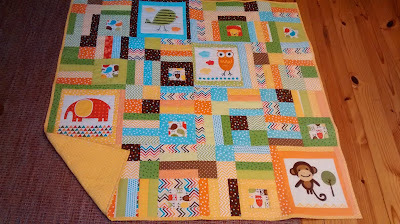 The Postage Stamp is a great way to use up a lot of squares. You can have fun with color mix, sashing, and various settings. You can take advantage of large and specialty prints and make them stand out by the type of sashing you use. How about we flip just one corner? It can be a precise size or you can try some using up some of those 'odd' tid bits. Have fun playing with layouts or the classic Bow Tie. You can flip two corners as well. Opposite corners for X's and O's, Stretch Stars, or fun mosiac. 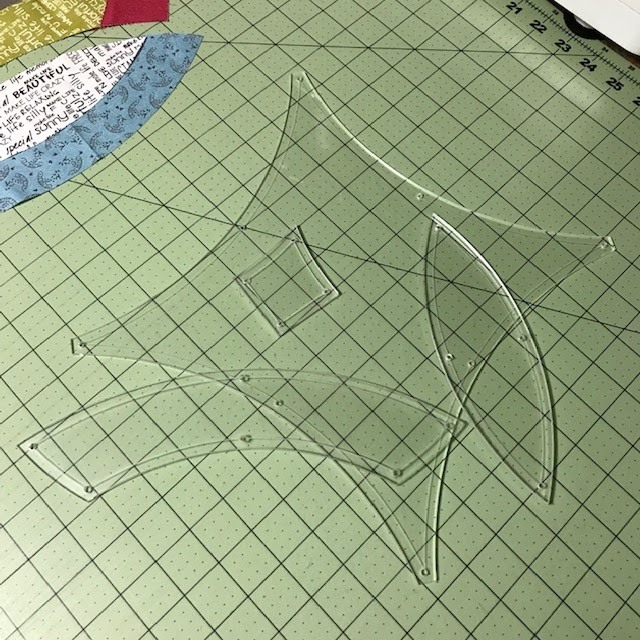 Corners on one side make easy stars - use same size flips or fun stretchy ones with those odd tid-bits. You can flip three corners to create some pretty flowers. Of course the Snowball Block with four flip corners. How you chose to create the 'ball' with size flips and how you chose to set them into a pattern - they all make wonderfull quilts. There are many other ways to play with a square - be creative. You will find they make lovely quilts and will help you feel more at ease in using your 'quilt math'. There are a lot of patterns on-line for 'nickel and dime' quilts (charms and layer cakes), but you can cut your own stash and scraps. My favorite book is the "BIG Book of Nickel Quilts" by Pat Speth. I actually own all the BIG books as they are great resources. I have a tutorial on my blog today (I had the wrong month marked on my calendar for my post - so early - but done) to make the Double Square Block by making the 'tulip' unit. You can find it HERE. So many fabulous ideas! I particularly love the dark ring quilt, and may have to put that on my bucket list - it looks like a good scrap buster, doesn't it? Have you been waiting for just the right inspiration to dip your toe in the water? Now's the time! 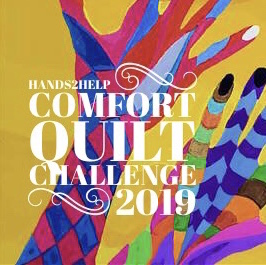 You can still sign up by clicking the button for the Hands2Help 2019 page right under my blog header, scrolling halfway down the post and filling out the entry form. (Be sure to click Submit at the end to complete your entry!) After all, the more, the merrier! 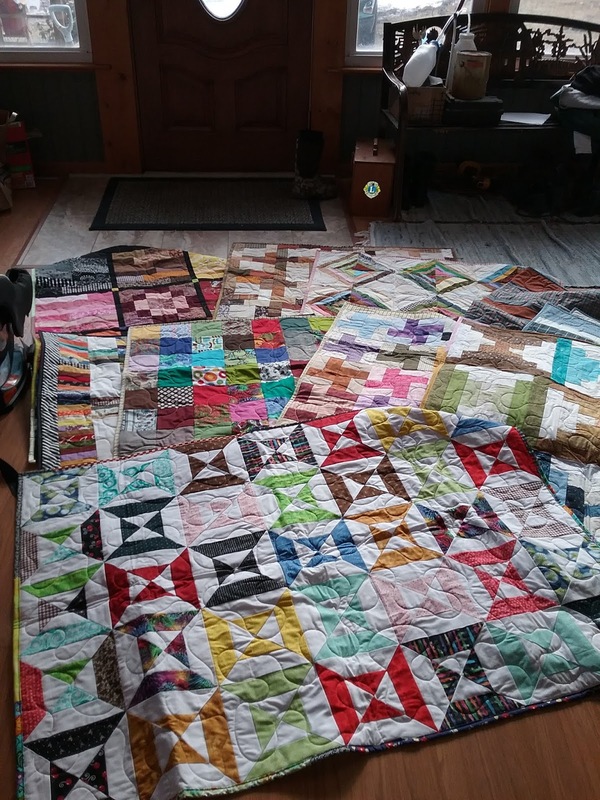 It's been a weird week around here, and I didn't get anything finished, but I do need to share the quilts that I'm going to donate as part of Hands2Help, so this is a great time to do that! 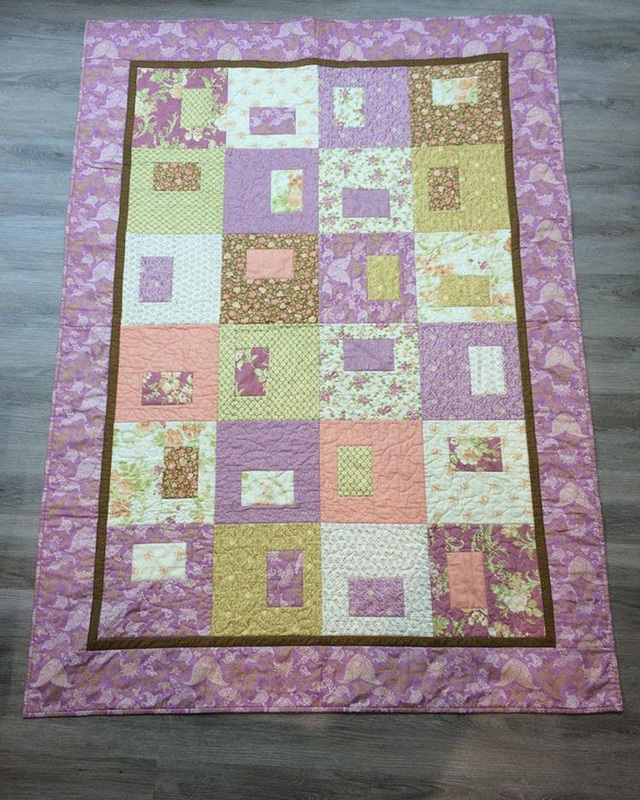 I made this first quilt using a variation on my On Line pattern, cutting my strings 4.5" long before sewing them together. 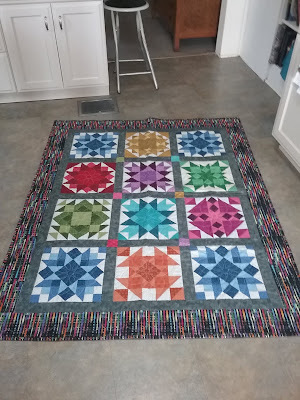 The finished quilt is made using all solid scraps, and finished at 36" square. Giant white polka dots on the back to make it happy - and this quilt will be going to Jack's Basket! 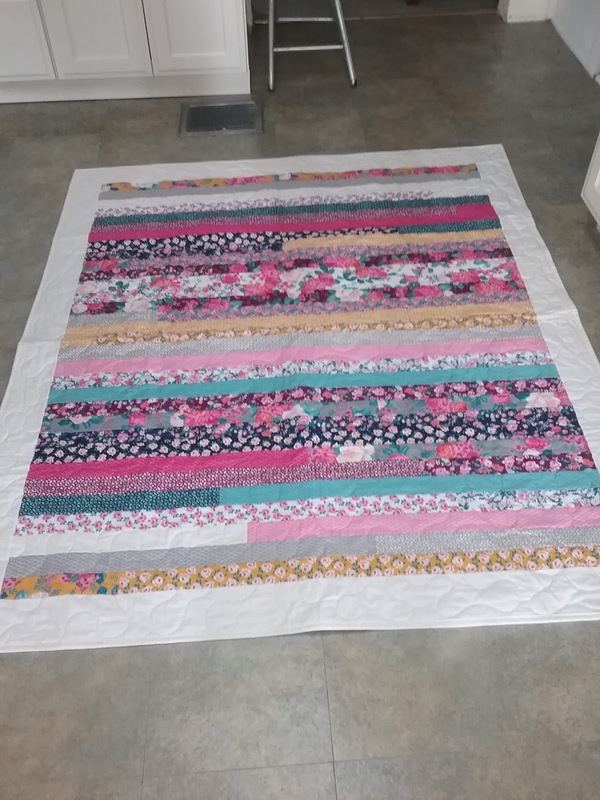 This pretty quilt had been languishing in my "to be quilted" pile for a while, so I'm happy to say that it is now finished and ready to go! 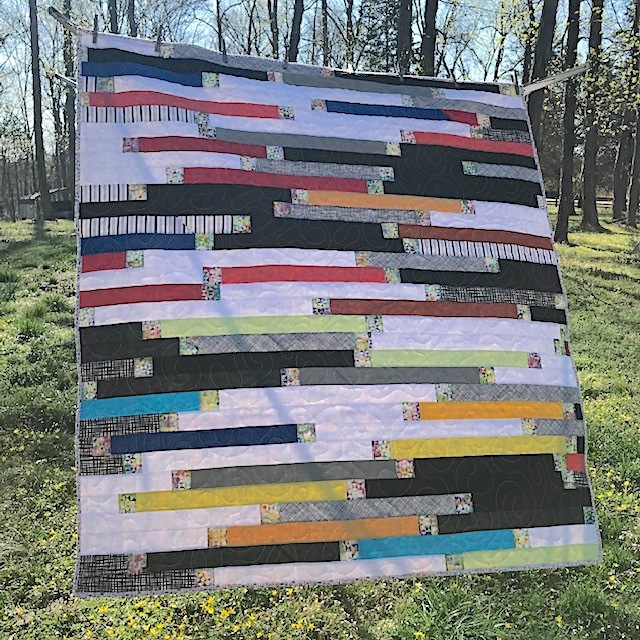 I made this using leftover pieces of binding in solids and black and white prints, along with a pretty rainbow print for the little squares between the strips. I do love jellyroll quilts! This lap-size quilt will be going to Mercyful Quilts. And here's something else to whoop about - just from the link-ups from last Sunday, there are more than 100 quilts in progress or finished already! 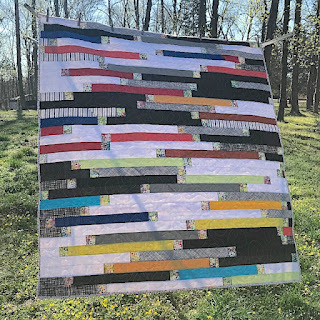 There's still lots of time to get involved if you want to join in the fun - finished quilts aren't due until May 24th - and this is such a good start, I can't imagine how many we can finish this year! You can still sign up by filling out the form halfway down this post. 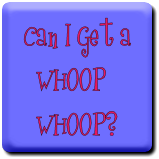 So - - - can I get a whoop whoop??? The party will stay open util Sunday midnight.